Industrial thermocouple assemblies are designed to be used in the most severe and demanding environments. The choice of a specific style is to a large degree determined by the temperature working range, ambient atmospheric or media conditions, as well as the size and shape required for the application. Control requirements such as accuracy and speed of response may also be considerations. Thermocouples with magnesium oxide insulation are recommended where the thermocouple is immersed in liquids, high moisture, corrosive gases, or high pressure. 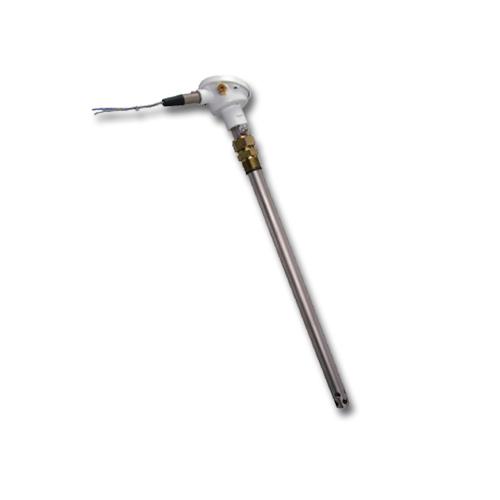 The thermocouple can be formed to reach otherwise inaccessible areas. The magnesium oxide has a high dielectric strength, responds quickly to temperaure changes, and is very durable. MgO insulated thermocouple wire is manufactured from premium quality wire encased in pure magnesium oxide, and processed into a chemically clean outer metal sheath. The wires are individually selected and matched, and are of uniform cross section with smooth surfaces. These are general purpose thermocouples whose primary usage is on the barrels, nozzles and molds of plastic injection and plastic extrusion machinery. They are available in a wide variety of lengths, configurations and calibrations to meet virtually any need in the plastics manufacturing industries. Resistance temperature detectors (RTDs) are also available.